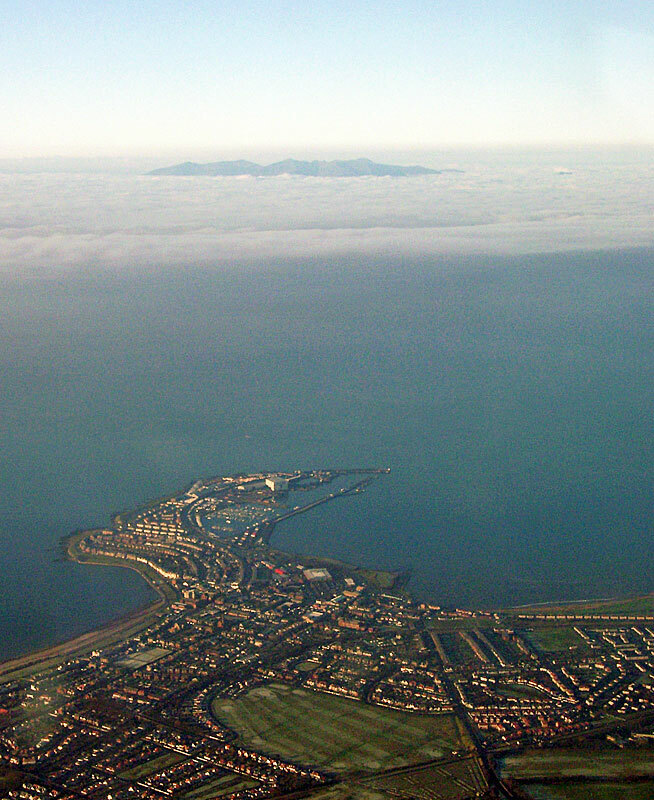 Arran is an oval-shaped island approximately 20 miles long by 10 miles wide. It enjoys a mild climate, protected to a degree from the worst of the Atlantic storms by the Kintyre Peninsula. 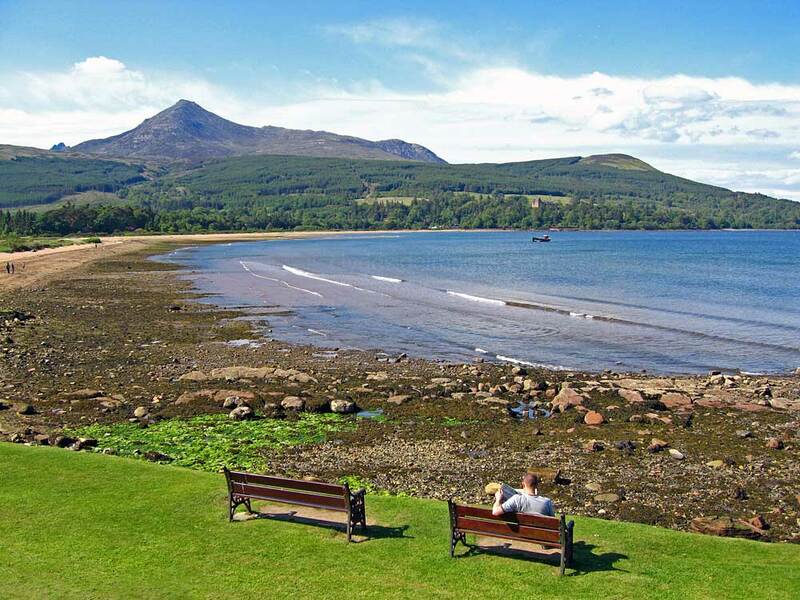 For a relatively small island Arran has a tremendous diversity of interesting features, whether it be scenery, geology or historical sites and it is home to a wide variety of wildlife. 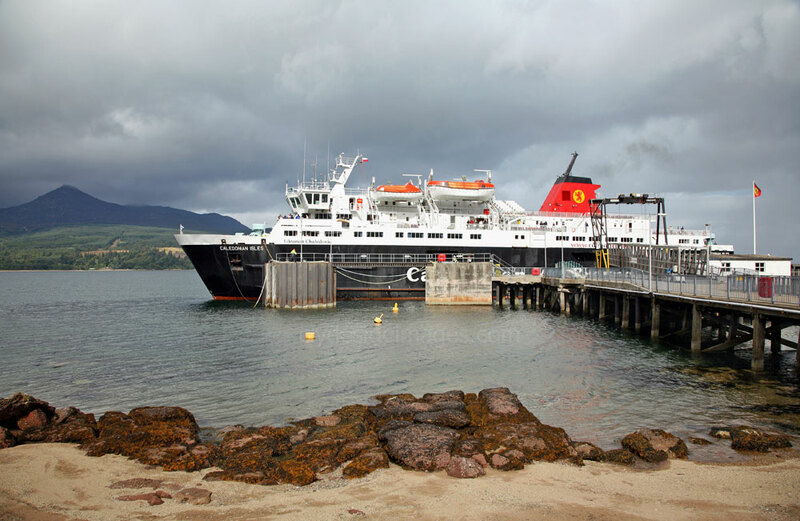 The ferry terminal at Ardrossan can be reached from Glasgow by car in under an hour then a leisurely sail puts walkers within range of Goatfell, Arran`s highest peak. The high mountains are all in the north of the island and lie in three parallel groups stretching roughly south to north. Nearest the west coast is Beinn Bharrain, an isolated, twin-topped hill, less craggy than its taller neighbours, although there is some unavoidable scrambling if the ascent or descent is made via the ridge on the east side of Coire Roinn. The Central Ridge includes three Corbetts and its traverse is regarded as one of Scotland`s classic mountaineering expeditions. Apart from the mountains, my favourite spot is Lochranza on the island`s north coast. The castle here dates from the 13th-century and sits on a spit of shingle guarding the entrance to the bay. 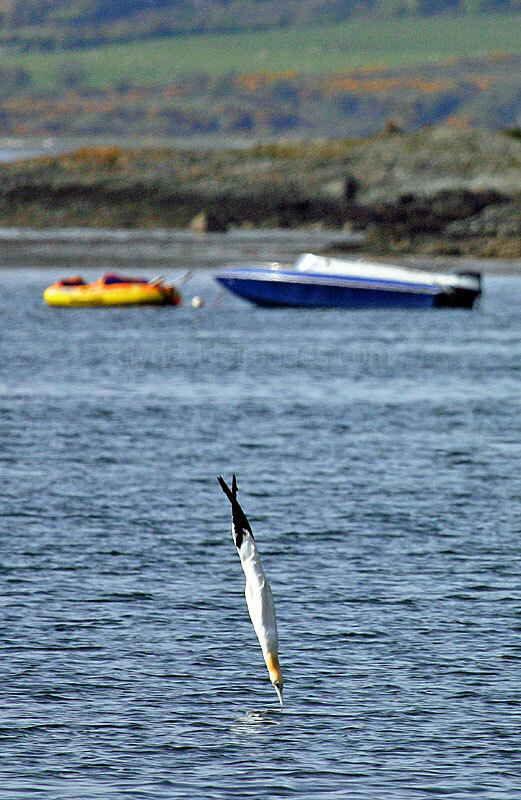 for fish close to shore and seals haul-out on rocks at the far side of the bay.